Almost every autumn, some candidate decides to make religion a campaign topic, and this year is no exception. Once that happens, the proper role of the church in public life usually gets hotly debated between friends, rivals and family members around the country. For a time, the very concept of Christianity can become increasingly politicized in the popular consciousness. But when Christians remember that their primary devotion is to following one who gave up His life for the healing and reconciliation of the people around Him—and not to a political cause or a partisan philosophy—the end result is usually change that runs far deeper and lasts much longer than any electoral accomplishment. 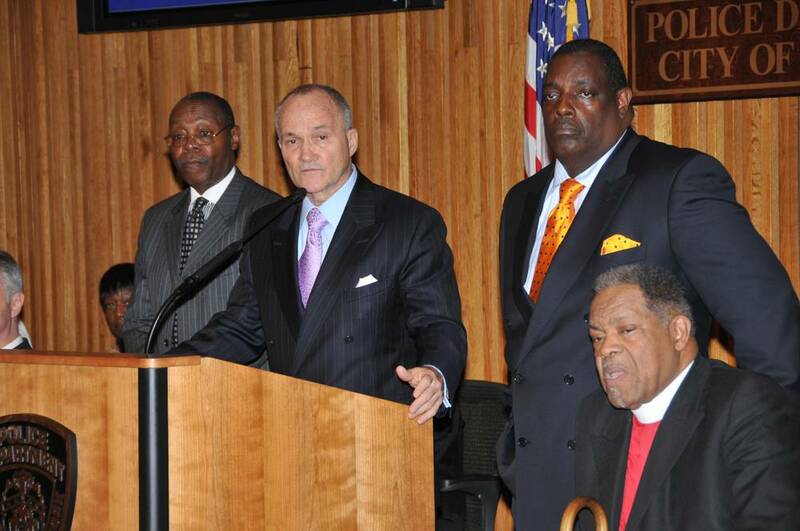 At least, that’s the theory at work in a new coalition of police officials and local clergy in Brooklyn. For the first time in a decade, murder rates have increased in New York City, particularly in heavily black neighborhoods in Brooklyn. In response, an ecumenical coalition of clergy have reached out to the NYPD to help curb the rise in a winsome, distinctively gospel-centered way: The Brooklyn Clergy/NYPD Task Force to Reduce Violent Crime will be holding meetings with local youth and gang members, providing support to grandparents who are now the sole caregivers for children orphaned in violent crimes, expanding the NYPD’s successful “Gun Back” program, and changing police policies that inhibit trust from the community. The gospel compels Christians to heal the communities around them. When the Israelites were carried into Babylon, the prophet Jeremiah told them to “seek the peace and prosperity of the city” to which God had brought them. Jesus lauded peacemakers in the sermon on the mount and longed to heal the corrupt and broken city of Jerusalem. By working with the police force, the members of the Brooklyn Clergy/NYPD Task Force to Reduce Violent Crime are promoting the peace and well-being of their under-served communities. And they’ve found a way to do it that everyone can support. Right on. It’s good to see there’s a group of christians with a Christ minded head on their shoulders actually taking a proactive, example setting, and appropriate stand on the fine line of political and governmental involvement. Well written Rick. Thanks, Rachel. I’d love to see more groups stepping out in this mindset. “What are the needs of the community, and how are we equipped to meet them?” should be on more people’s minds.